Who better to kickstart a relatively slow year opening than SM Entertainment’s’s resident pocket rockets Red Velvet? Most expected that they’d come back with one of their velvet concept tracks but new single “Rookie” is red through and through. A velvet track would have been comforting and suited the cold months but “Rookie” goes past that to be an infectious energy boost to anyway who come in its way. Red Velvet are well past rookies now, and their edge is proving to be the most distinctive of all the newer girl groups. That being said though “Rookie” is not an easy song to get into. Looking at the laundry list of producer’s names we can see a probable reason for this. The song introduces itself as being by The Colleagues, who are an American production team more used to hip hop and R&B than bubblegum pop. 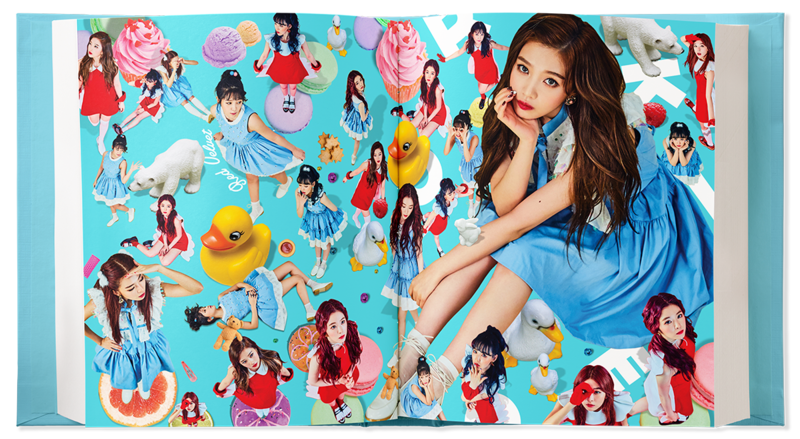 They’ve worked with artists like Lil’ Wayne and Gucci Mane, people who don’t shout Red Velvet. SM regulars Tay Jasper, Sara Forsberg, and more were on head to presumable help the transition though. So many different hands were on this song and I think it is thanks to this not despite it that “Rookie” could come through as a quality track. The Colleagues’ hip hop has been filtered out in favour of funk to counter the chaos of a Red Velvet song. The drum beat is introduced as the driving force. It perfectly combines both worlds into something clear but potentially erratic. A rolling bassline comes in behind along with horns and guitars eventually which add the more grounding elements. We’re used to synth heavy tracks from Red Velvet so it’s great to hear something with the same energy but not synthetic. The horns especially create this unique vibe thanks to being so fun and spontaneous. The rapid transitions between vocals take less of a potential toll thanks to the song itself taking its time. It takes about a minute to reach the chorus from the beginning of the song. Usually this would be quite long but here it feels organic. Each new part is so filled with imaginative sounds so it never feels like you’re waiting for the chorus. As we’ve come to be accustomed to, with each new Red Velvet release the music video is decidedly psychedelic. “Rookie” expels the tighter, plot-like focus of “Russian Roulette” for something a bit more messy but just as weird. It takes aesthetic cues from Alice in Wonderland uses wardrobes and doors from The Lion, The Witch, The Wardrobe to transition between different sets. Like the song the girls can go through any door at any time, into a new exciting world. There’s a strange man made of flowers, Joy as a drug dealer, and a pull back to reveal the meta ending. Best of all is the long shot of Seulgi coming through the first door with a confused look, only to immediately find herself back in formation dancing to the chorus. The best thing about Red Velvet is the commitment to their concepts since debut without becoming stale. They have continually produced magnificent tracks with youthful vigour. “Rookie” especially, finds something exciting. It’s many parts are equally diverse and wonderful. To the fans who think it’s too childish, do you even know Red Velvet? This is Red Velvet at their most fervent red. It’s supposed to be wacky and hard to grasp. That’s why we love them. What do you think of “Rookie”? Share your thoughts in the comment section below and be sure to subscribe to the site. Follow us on Facebook, Twitter, Instagram, and Tumblr to keep up with all of our posts. SM Entertainment have long had an image of a more sweet and safe counterpart to YG Entertainment’s edgy western influenced looks and sounds. SM, however, have built their foundation on truly innovative concepts all based in more palatable (for a Korean audience) pop music. Songs like TVXQ’s “Rising Sun” and Girls’ Generation’s “I Got A Boy” are unprecedented in their experimentation with the pop form. f(x) as a group were conceived as a way of bringing art pop into K-pop. For all their weirdness though, all of those groups and more always had quality songs to back it up which allowed the innovation to be accepted. Lee Soo Man moves onto his next big project with NCT, short for Neo Cultural Technology. The plan for NCT is to be a fluid group consisting of an unknown amount members made up of SM rookies. Sub-units will be formed from them and release music in different parts around the world. Kind of like the original idea for EXO, who debuted as two subunits focusing on each the Korean and Chinese markets, but on a much larger scale. 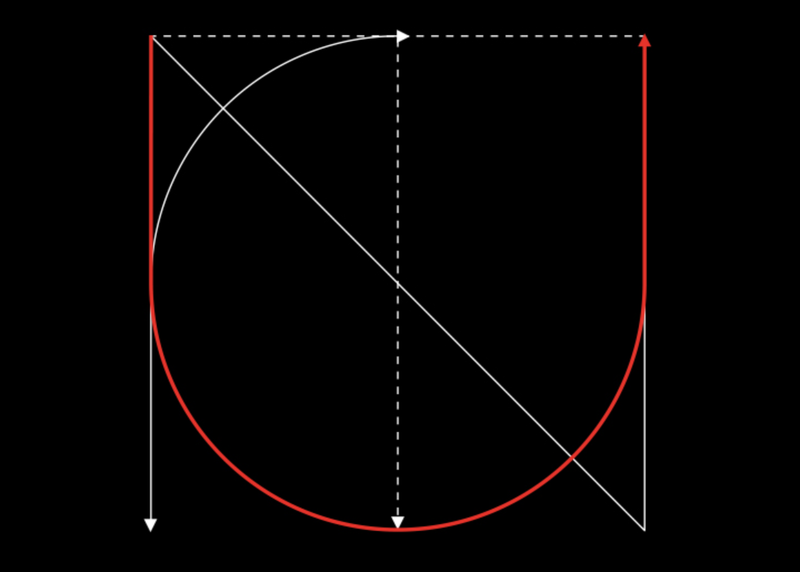 NCT U are the first unit to debut with “The 7th Sense” and “Without You”. NCT U are made up of South Koreans Doyoung, Taeyong, and Jaehyun, Canadian Mark, and Thai member Ten. I do want to discuss the overall concept, but first and most importantly is the music. “The 7th Sense” is a perfect start for a group like this. It’s a slow burn that manages to be unwieldy at the same time. Its sound is familiar to western audiences as a mix of R&B and trap that has become popular over the last five years or so. Along with the lyrics, NCT U bring a certain otherworldly nature to the song. There’s an uncertainty to everything about it. The lyrics are about these waking and sleeping dreams that haunt the members of their past and future, “Yesterday is today, Today is yesterday, I’m only filled with late self-guilt.” They want to take it slow, let the song itself open their eyes onto better futures. “The clock laughs at me.” For better or worse, the song mirrors these ideas well structurally. The clock also laughs at the audience by not letting much happen between each part of the song. A rolling bass synth and trap beat are introduced early in the song and sustain it the entire time. Elements are only ever taken out and put back in, nothing is added to change it up. The music is a dream, it is sparse, but seemingly never ending, pulling the listener physically onto the level of the lyrics. The vocals instead are used to transition the song. As a showcase of a new group this is where “The 7th Sense” works best. Each of the raps are unique with Taeyong’s droll delivery being the highlight and the vocalists kill it with some EXO like harmonies. It also means that we only know the song has moved on after someone starts singing or rapping. Each change is considerably different though, so when it does happen, we immediately know. Just like a dream, we only realise the setting has changed long after we have been there. The video and choreography top off these ideas by playing up the dreamlike state. The music video is almost always lit unconventionally. It uses lots of reds, oranges, and pinks for the group dance sequences. The solo parts range from some of those colours to prominent blues. It makes a mostly generic SM video into something a little more interesting. The dance is similar in that it mixes more conventional styles with odd movements. Much of it is pretty quick hip hop with more stress placed on hand movements around the head. Like the song though, it never strays too far from slowing down to an almost complete stop. Taking it slow is clearly important. Also present, especially at the end of the video, are long arching moves. They seem martial arts inspired, offering a grace to the dance as it comes to an end. “Without You” is a move towards more mainstream pop. This is something that could be a huge hit if it were a proper release (maybe it is, NCT’s concept doesn’t specify how singles will be released). It’s a pop/rock track in the tradition of most K-pop rock groups like CNBLUE, FT Island, and now Day6. It’s a much more complete song than “The 7th Sense,” but is not half as interesting. Again, as a showcase, it works well for their vocals. Each member is strong and pulls off the right emotions. However, “The 7th Sense” already did that and more, so really “Without You” feels like a way of just showing off that NCT U can do more than one genre. For a group with as weird a concept as NCT, this is disappointingly generic. I may be almost always against ballads, but they could have tried a little harder with something like EXO’s “What is Love” or Red Velvets recent “One of These Nights”. The lyrics are again surprisingly depressing. For two debut singles, this is an odd way to go. It’s about being utterly lonely without the one you love. It articulates it in interesting ways by referencing connections and living. In the context of NCT as a group, it speaks to the idea of their infinite members, connecting even if it is across the world is important. It’s a justification of the group itself. In the music video I like the colours on display. SM have really taken to the washed out pastel trend ever since last year and it works here again. It seems that different colours are used to show different time period in the story of the video. They are contrasted well with the stark shadows of the wonderful opening images. One thing you obviously would have noticed is that different members performed both of the songs. The fluidity of NCT is strongly apparent with even their first unit being split up into smaller parts. This is something that interests me about this group. Collaborations have become a big trend in K-pop and this allows NCT to have an almost infinite number of different collaborations all without leaving the actual group for another partner. With large groups like this, they’re also prone to losing members, meaning that people can be swapped in and out with ease. Not only that, smaller sub units could be forgotten altogether as they may have served their purpose in the few weeks they promoted. They are missing a trick however, by having only boys in the group. This could be expanded to include fluidity of gender, where a girl could swap in for a boy at times and vice versa. It could allow for more interesting takes on certain songs. I would also love to see some girls tackle material like “The 7th Sense,” which is so often deprived of them. Musically, NCT at the moment have shown a variety of things that they could do. Both songs are marked by being little more than intros though. “The 7th Sense” is weird and interesting, but not quite there in terms of overall quality. It adds little to a fairly tired genre that could be invigorated by a young group like this. “Without You,” on the other hand, is even more generic. And yet, NCT don’t come close to being defined yet. 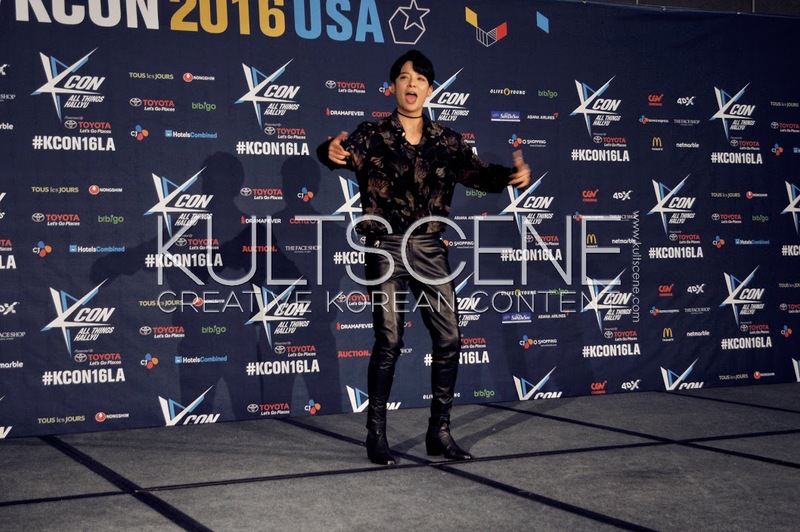 Their very nature means there is so much more to come from performers all over the world. It’s an exciting prospect that brings the larger than life theatricality back to pop music K-pop adores. Watch the announcement video below to understand how Lee Soo Man sees NCT. They are kids from another planet here to take over the world, again like EXO on a bigger scale. What do you think of “The 7th Sense” and “Without You”? Also what are your impressions of NCT as a whole? Share your picks and thoughts in the comment section below and be sure to subscribe to the site and follow us on Facebook, Twitter, Instagram, and Tumblr to keep up with all of our posts. K-pop is a cutthroat battlefield in many ways, but the public feuds are few and far in between. This week’s Playlist Sunday focuses on some of the most sensational K-pop Feuds over the past few years, either between agencies and idols, or singer against singer. While some K-pop feuds are between two people, the ongoing dispute between JYJ and SM Entertainment is something that has been going on so long that it has even led to action from Korean politicians. JYJ (Junsu, Yoochun, and Jaejoong) is made up of three former TVXQ members who left the group in 2009. Seven years later, the trio still finds their activities blocked bythe influence of their former agency. But in the “Untitled Song, Part 1” (Or “The Nameless Song, Part 1”), which was released as part of JYJ’s 2011 self-composed music essay, the three went out and attacked their former agency, addressing in song what had led to the trio splitting from the other two members of TVXQ. The song, written and composed entirely by Yoochun, details their time at SM Entertainment from 2003 in an earnest way that is lacking from many K-pop songs. The trio sings and raps about their hardships, their journey to the top in Korea and Japan, and the pivotal moment when they reached out to SM Entertainment’s CEO and were disappointed. “When he needed us, we were family to him,” sings JYJ. “When we needed him, we were strangers to him.” The song continues on to express that JYJ’s members realized they weren’t getting paid enough and other hardships and is a frank depiction, and explanation, of the turmoil that led JYJ to leave from TVXQ at the pique of the group’s height. The song ends with JYJ thanking fans for their support. Musically, the song is simple, but the lyrical storytelling is heartbreaking and shows JYJ’s side of a story. was about how he thinks all idol rappers are just that and it makes no difference how good you are. Listen to Ravi everyone, we’re all the same really so relax. After an almost five year hiatus back in the United States, you can imagine that Jay’s comeback was anything but smooth. Things eventually got better; producers from certain broadcasting stations eventually realized that Jay would be able to grant them better viewership. Certain shows like “Immortal Song 2” and “Dream Team” brought him on knowing that aside from the past drama stemming between JYPE and Jay, that Jay himself would be good for their business. For the sake of their company and pressure from the industry, I get why the company sent Jay off like that, but they shouldn’t have gone about it the way that they did and even afterwards when things were long done between the two parties. Although it seems like the two have moved on from the past, JYP seems to still be holding on to some angst, considering how Jay can’t appear on “Running Man” due to the producers familial relationship with Park Jin Young himself. Who’s side are you on? Share your thoughts in the comment section below and be sure to subscribe to the site and follow us on Facebook, Twitter, Instagram, and Tumblr to keep up with all of our posts. On August 18, a member left one of SM Entertainment‘s most popular groups and the K-pop world hardly stopped to consider the usual questions. There was no “why?” or “what now?” as there had been following departures from EXO, Girls’ Generation, and f(x) over the past two years. Instead, Kim Kibum’s departure from SM Entertainment led, yes, to sadness from many Super Junior fans, but also to an almost overwhelming sigh of “it’s about time” from the larger K-pop community. For a fandom that has seen a lot of dramatic exits, Kim leaving SM Entertainment was one of the quietest major events to happen to one of K-pop’s top acts. Which leads to the question of why the calm? Why didn’t K-pop fans freak out about a departure from Super Junior? Probably because Kim Kibum in actuality left being an active Super Junior member long ago, and the official statement that was shared by Kim on Instagram is just the final nail in a coffin that was already buried years ago. 2015 august 18th. Finished with S.M. ent. Lets begin my new life…!! 그동안 함께했던 SM 감사합니다. Since debuting in 2005, Super Junior has seen a lot of scandals and drama amidst personal loss, accidents, fights, lawsuits, line-up changes, enlistments, and much more. But Kim’s departure was something that had been expected, and accepted, almost since 2009 when he first went missing from the group amidst “Sorry, Sorry” promotions. In essence, Kim Kibum left Super Junior unofficially in May 2010, when SM Entertainment confirmed that Kim would officially not partake in Super Junior activities for the time being. ELF, Super Junior’s Everlasting Friends, continued to support Kim’s solo career, and Super Junior even recently discussed welcoming Kim back if he were interested, but that ship had truly sailed long ago. Why wasn’t this a big deal then, and why isn’t it now? In comparison to the departure of Hankyung (Han Geng) during the same period (2009-2010,) and the JYJ-TVXQ lawsuit (and the more recent Kris-Luhan-Jessica-Tao- Sulli exits), Kim’s departure was phrased as anything but. He’s been under the company until now, taking a few acting jobs now and then but essentially sitting as a lame duck. Why did SM Entertainment put up with it? That leads us to the fact that Super Junior probably should win the award for being the K-pop Group That Shouldn’t Exist. The fact that Super Junior began its tenth anniversary promotions this summer with the release of “Devil” is absolutely insane, to put it easily. Super Junior debuted as the project group Super Junior ‘05, with the intention of SM Entertainment rotating members in and out. The original line-up of twelve members was not supposed to stick. The addition of Kyuhyun and the removal of the year from Super Junior’s name was momentous not only for the group’s loyal fans because it meant that Super Junior was there to stay, but it also meant a change of path for the members. 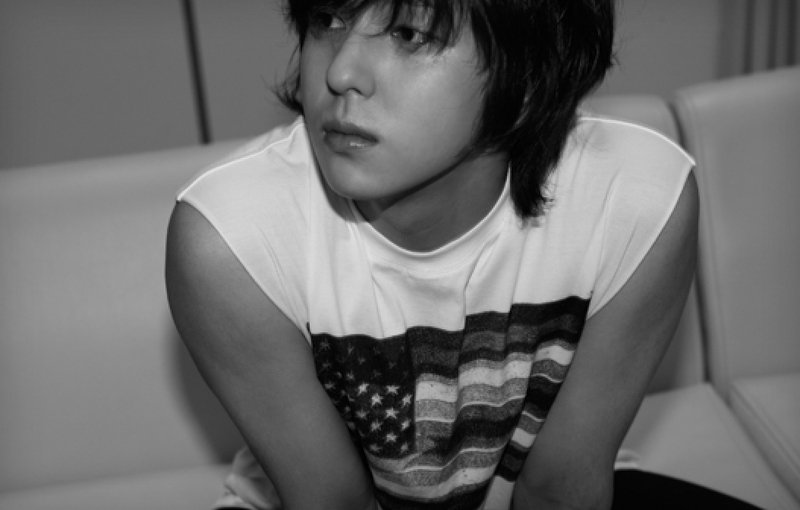 Prior to debuting in Super Junior ‘05, Kibum was the most prominent member in Super Junior. As a model and actor, Kim was responsible for getting Super Junior’s name out there, and took the role as one of the group’s so-called visual members. And he got the job done, promoting as Super Junior’s Kim Kibum on television. Following the initial success of the group and then the 2009 glory of “Sorry Sorry,” it was clear that Super Junior was going to stick around the K-pop world. So someone who had initially prepared to graduate from being a K-pop idol in a few years was forced to look at a possibly daunting career. As an ELF myself, I can admit that Kim Kibum’s raps were decent at best, while his heart was truly in acting and modeling. For whatever reason, SM Entertainment didn’t promote him well after he went on hiatus from the group, but Super Junior had gained exposure thanks to Kim’s presence on television, and then when he wanted to call it quits, it seems like SM let him go at a time when bad PR would tank the company’s stocks even more. Kim Kibum was never integral to Super Junior, and Super Junior was never integral to Kim Kibum. So when he left initially, it was fine. And in 2015, when his contract expired, there was no drama. There was no lawsuits, or shocking interviews with the Korean press, or outrage from either side. There was civility, and an adult attitude towards the whole thing. Which is quite impressive for K-pop. How do you feel about Kim Kibum’s exit from SM Entertainment? Share your thoughts in the comment section below and be sure to subscribe to the site and follow us on Facebook, Twitter, Instagram, and Tumblr to keep up with all of our posts. 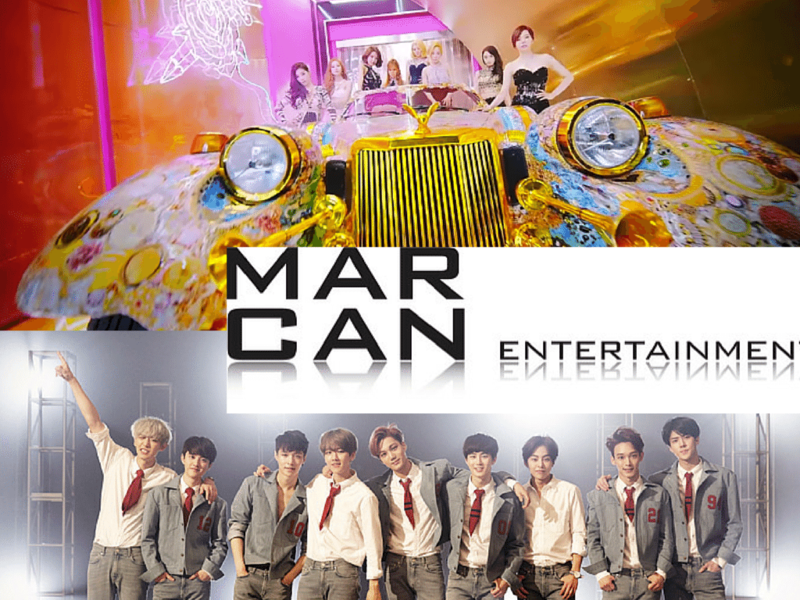 When it comes to the Korean entertainment industry, most K-pop fans know about some of the top entertainment companies. SM Entertainment, YG Entertainment, JYP Entertainment… The big three have their own unique styles, but so do many of the smaller agencies, like indie label Antenna Music or FNC Entertainment with its preference towards band concepts. And don’t forget about Starship Entertainment, Woollim Entertainment, Loen Tree, and all the rest of the agencies. With so many options, there’s a place for everyone! If you’re a fan of K-pop, you’ve likely wondered which company you’d like to be signed with. Don’t know where you would belong? That’s where we come in. There is no sorting hat for Korean entertainment agencies (unless you count a competition show like Superstar K), but here’s our latest KultScene quiz for you to determine which Korean entertainment company is the best for you. Also on KultScene: Which ‘Unpretty Rapstar’ Contestant Are You? What did you think of your result? Did you get into the Korean entertainment company that you thought you would? 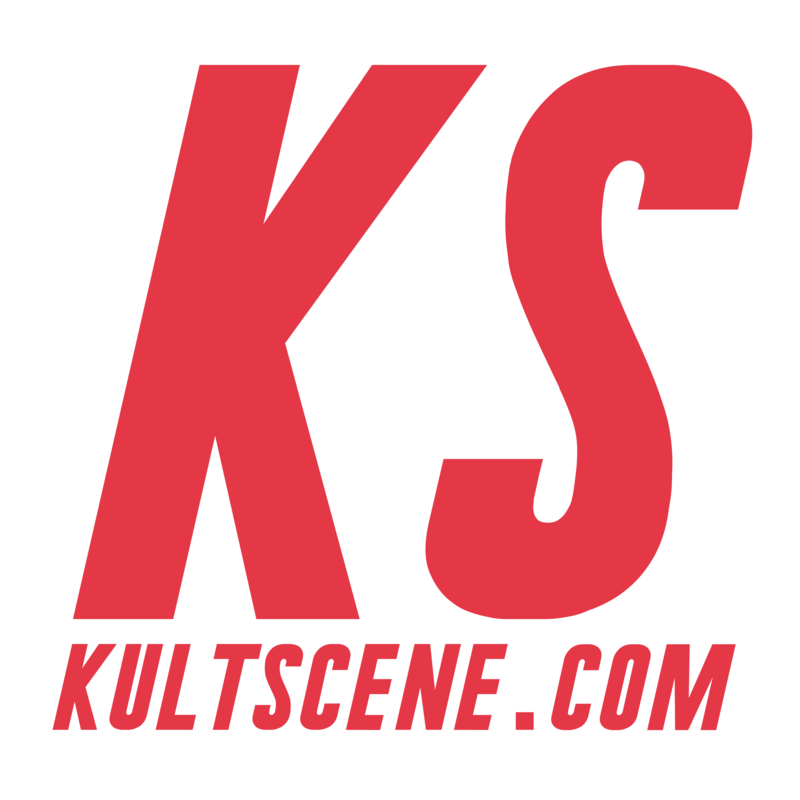 Let us know what other quizzes you’d like to see from KultScene! Share your thoughts in the comment section below and be sure to subscribe to the site and follow us on Facebook, Twitter, Instagram, and Tumblr to keep up with all of our posts.